Consumer credit increased at a seasonally adjusted annual rate of 6.6% in September, up from a 4.2% rate in August. 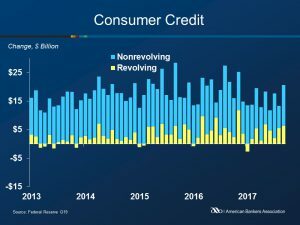 Total outstanding credit increased $20.8 billion during the month (compared with $13.1 billion in August) to $3.79 trillion. September’s report was the largest increase since November 2016. 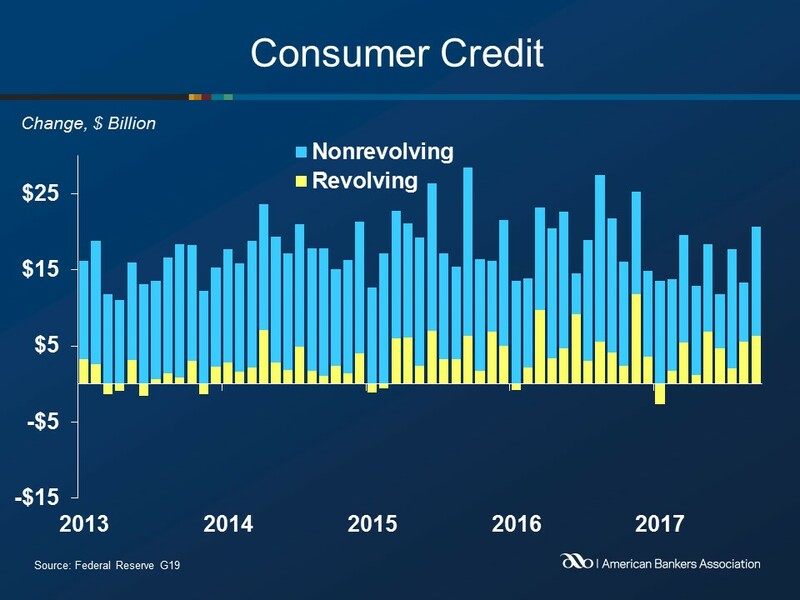 Revolving credit, largely a reflection of credit card debt, grew at an annual rate of 7.7% to $1.01 trillion, compared to a 6.7% increase in August. Non-revolving credit rose at a 6.3% annual rate, or $14.4 billion, compared to August’s rate of $7.7 billion. Total non-revolving credit is now $2.78 trillion. Federal government holdings of student loans continue to be the largest portion of non-revolving credit, comprising approximately 40.5% of outstanding credit. Depository institutions and finance companies are secondary and tertiary holders, with 25.2% and 18.3%, respectively, of outstanding non-revolving credit.